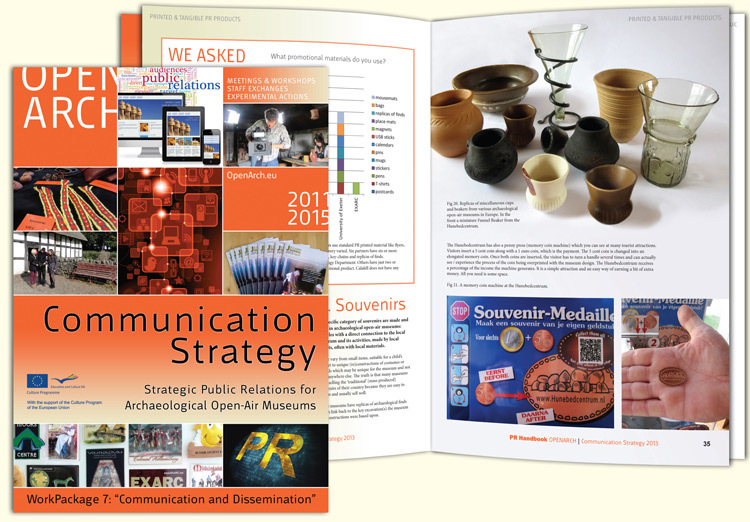 Based on our experience in PR for Archaeological Open-Air Museums in 2013 we wrote a manual on Communication and PR. It includes Strategies for Archaeological Open-Air Museums. The book exists out of six themes: People Matter, Digital PR, Combining Social Media and Print Marketing, Printed & Tangible PR products, Media & Going Public, How to Organise an (International) Public Event. 3. Presentation given in Albersdorf (DE), during the OpenArch meeting about the conclusions from the questionnaire plus some tips & tricks. In November 2013 it has been distributed between OpenArch Members. In April 2014 EXARC sent it to 150 Institutional Members of EXARC. From March 1, 2015 it is available online. See the link below.